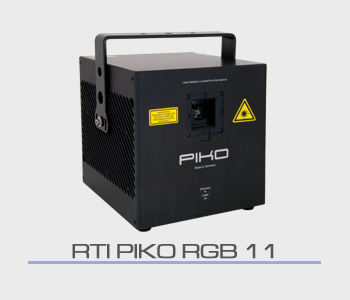 Powerful show laser from our rental pool with an output power of 11 watts. Precise diode laser light with ILDA control for rent for your event. This compact rental system has a browser interface for easy control. 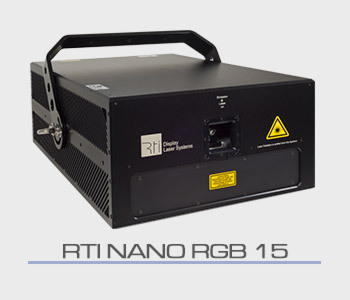 Powerful show laser from our rental pool with an output power of 14 watts. Precise diode laser light with ILDA control for rent for your event. This compact rental system has a browser interface for easy control. Powerful show laser from our rental pool with an output power of 15 watts and optimum white balance. Precise diode laser light with ILDA control for rent for your event. This rental system has very fast scanners for demanding graphic applications and a browser interface for easy control. Powerful show laser from our rental pool with an output power of 18 watts. Precise diode laser light with ILDA control for rent for your event. This rental system for the most demanding applications has a browser interface for easy control. 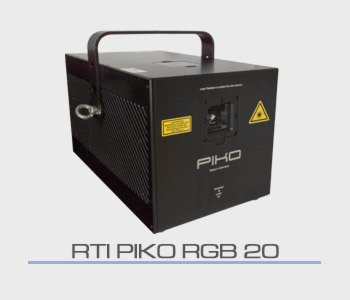 Powerful show laser from our rental pool with an output power of 20 watts. Precise diode laser light with ILDA control for rent for your event. This rental system for the most demanding applications even over long distances has a browser interface for easy control.